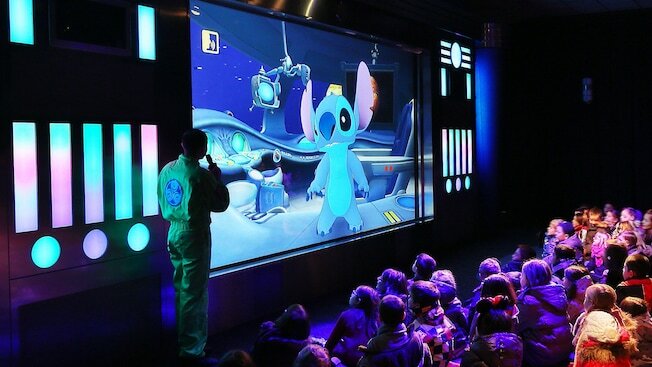 On March 22, 2008, the interactive attraction Stitch Live! opened in Disneyland Paris’ Walt Disney Studios Park. Similar to the attraction Turtle Talk with Crush, guests can interact with the Lilo and Stitch character Stitch, asking him questions and see him wreak havoc during a satellite feed. The Disneyland Paris version was a variation on the Stitch Encounter attraction that opened in Hong Kong Disneyland on July 13, 2006. Posted in Uncategorized and tagged 2000s, Attraction, Disney Park, Disneyland Paris, International. Bookmark the permalink.